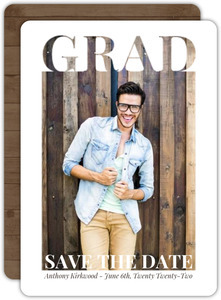 You might be having a truly large Graduation event. 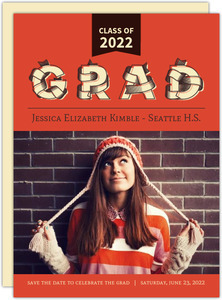 Maybe it's because you're graduation grad school, or you're just really excited and have had a lot of time to prepare. 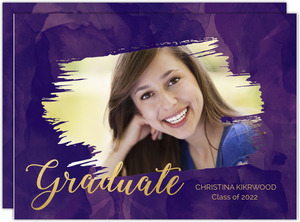 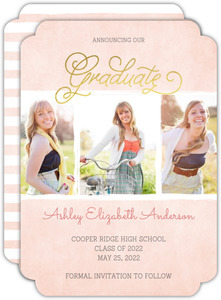 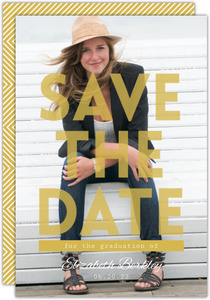 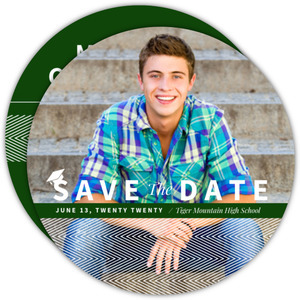 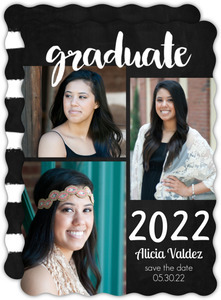 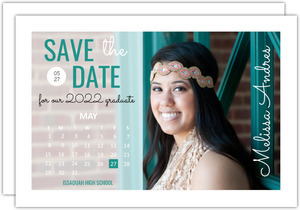 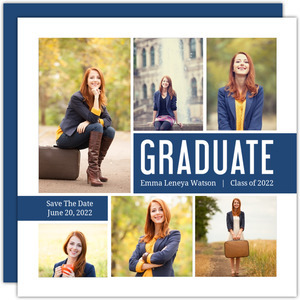 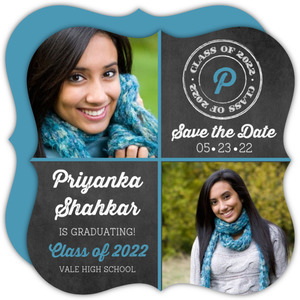 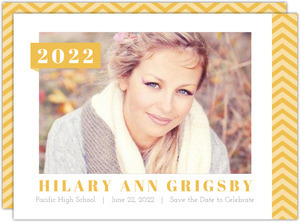 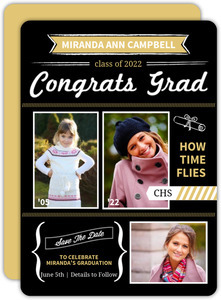 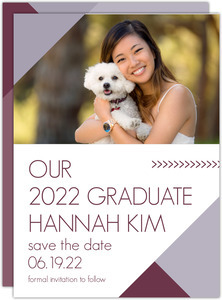 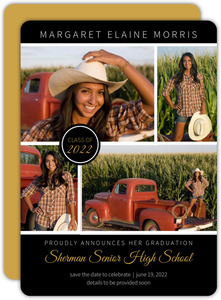 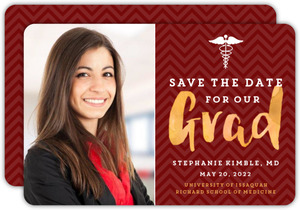 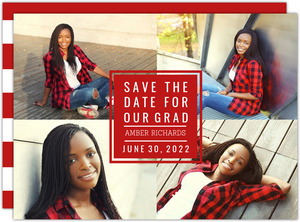 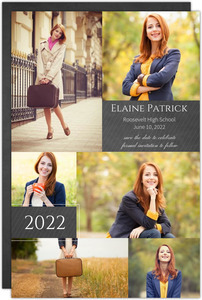 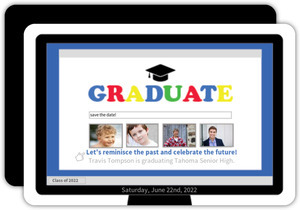 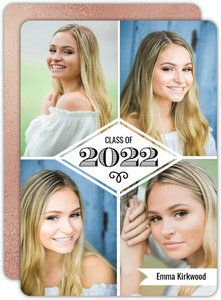 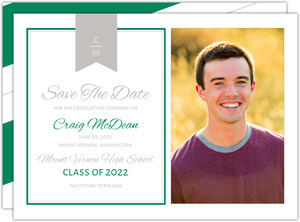 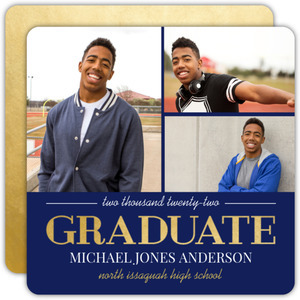 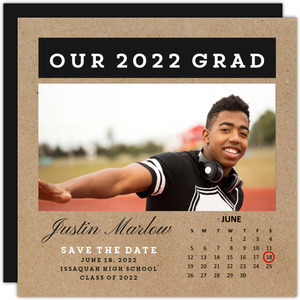 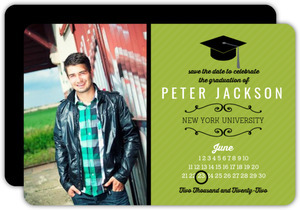 If you want to be sure your guests know the day, even if you don't have everything set in stone yet, Graduation Save the Date cards are a good start. 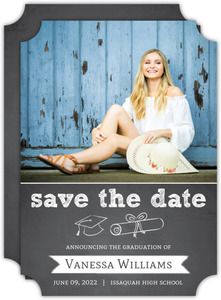 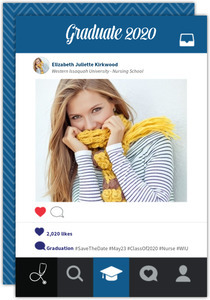 Your grad date is usually set long before the event, and even if there's no party or reception afterwards, just making sure everyone knows this date will go a long ways for ensuring they arrive. 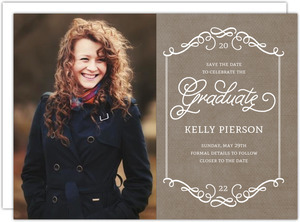 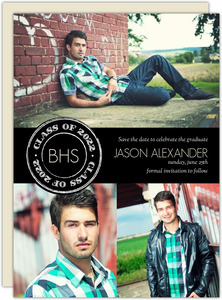 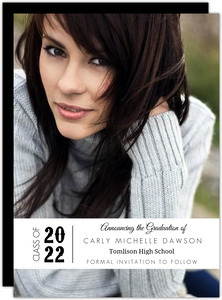 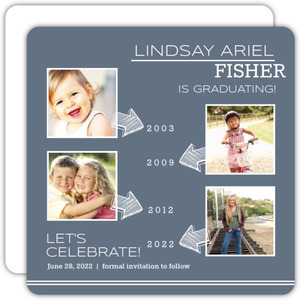 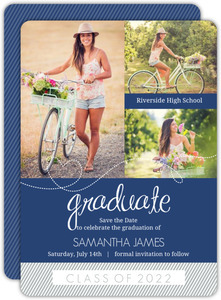 You can even send more formal invites down the line for when you have more details worked out, if not all of them. 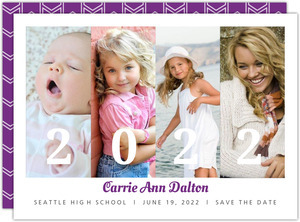 We have the whole package here at PurpleTrail. 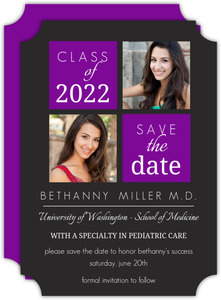 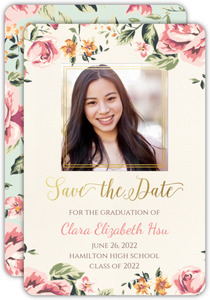 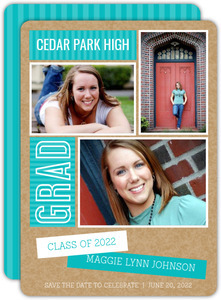 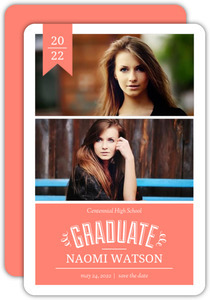 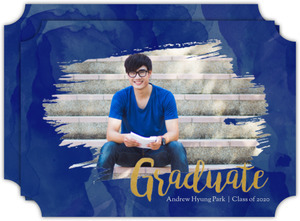 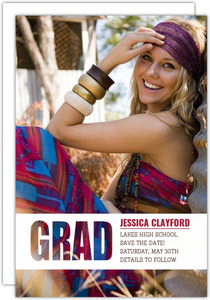 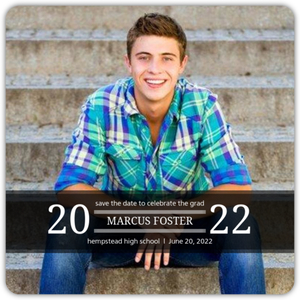 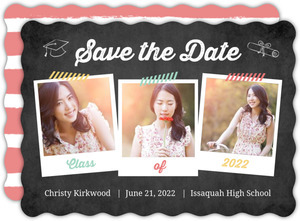 Not just Graduation Save the Date cards, but all manners of graduation stationery that can be customized to fit your event perfectly. 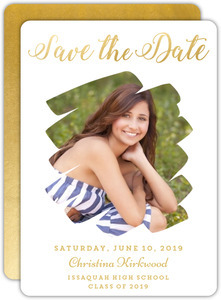 Get a guestbook, a banner, and your formal invites from PurpleTrail and take advantage of our fast shipping, quick turn around times, and obviously, our high quality stationery to leave a lasting memory.